Our thoughts and prayers go out to everyone who has been directly or indirectly impacted by the destruction caused by hurricane Harvey. 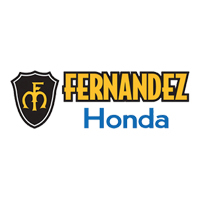 Fernandez Honda is ready to assist all those who have experienced vehicle damage or loss as a result of this storm. Our service department is prepared to perform inspections on all cars that may have experienced flood or water damage from the hurricane. If you experienced a total loss of your vehicle during this catastrophe, our San Antonio, TX Honda dealership offers replacement assistance. We will help out with all insurance paperwork filed on your behalf to ensure that the process goes as smoothly as possible. The Fernandez Honda service center can inspect your vehicle to determine the extent of any flood or water damage caused by hurricane Harvey. We can facilitate the claims process with your insurance company so that your car, truck, van or SUV is repaired as quickly as possible. You can schedule inspections online or call our service department for an appointment at (210) 988-6685. If your car suffered significant damage that will involve a long repair process, Fernandez Honda can also help with temporary transportation options on your behalf. Was Your Vehicle a Total Loss from Hurricane Harvey? If you lost your vehicle as a result of Hurricane Harvey, Fernandez Honda offers a replacement program. We will work with your insurance company and handle the claim paperwork so you can get into a new Honda, certified pre-owned Honda or other quality used vehicle from our dealership. We know this is a difficult time for you and every team member at our dealership is ready to help out in any way possible. If you have any questions about your vehicle replacement options, feel free to contact us online or stop by our dealership located at 8015 IH 35 S. San Antonio, TX 78224.